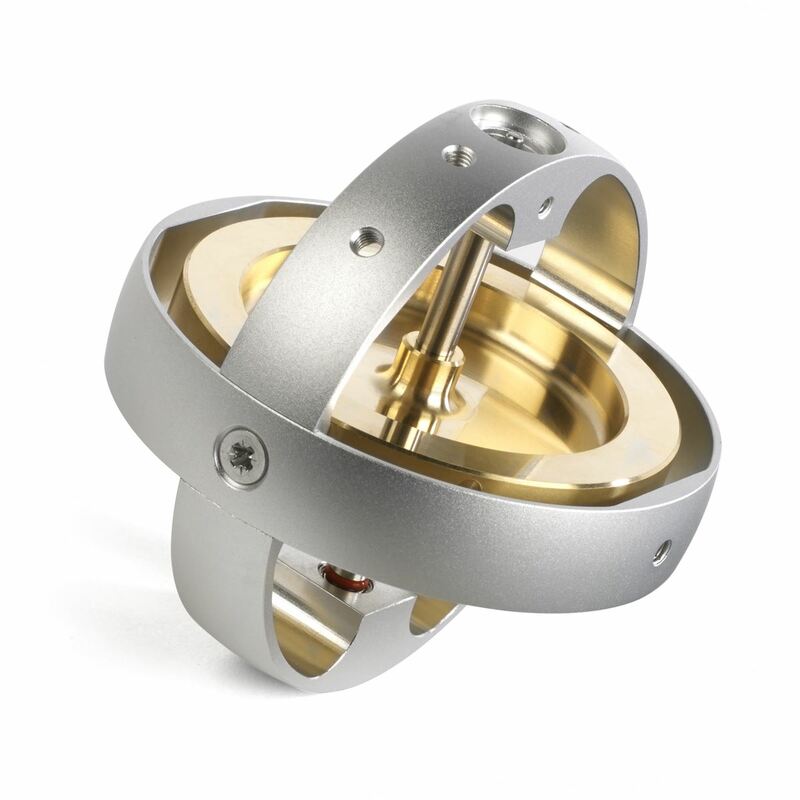 The Super Precision Gyroscope has been designed and built to the highest precision from the very start, made from solid brass with a light-weight aluminium frame. Carefully chosen stainless-steel miniature ball bearings allow it to run smoothly and almost silently for an amazingly long time. 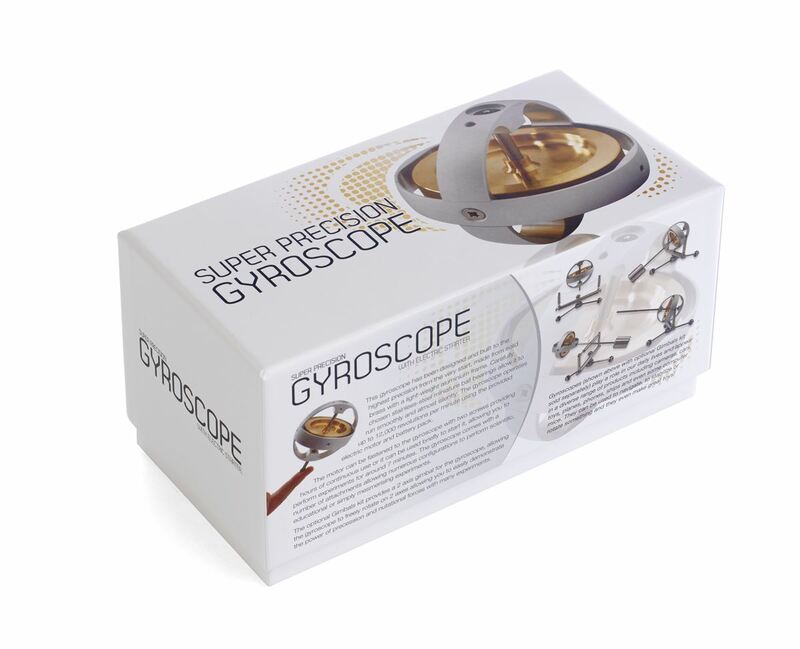 The gyroscope comes with a number of attachments allowing numerous configurations to perform scientific, educational or simply mesmerising experiments. 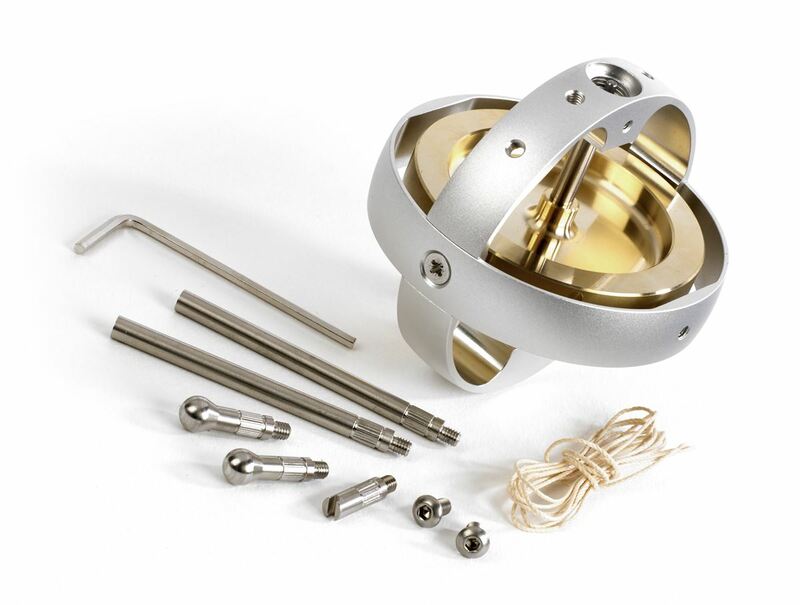 The gyroscope comes with 2 x 50 mm long stainless steel extension rods, 2 x ball ends, 1 x slotted end. The rods when screwed together will extend 100mm, they can be screwed in other positions to create various experiments. 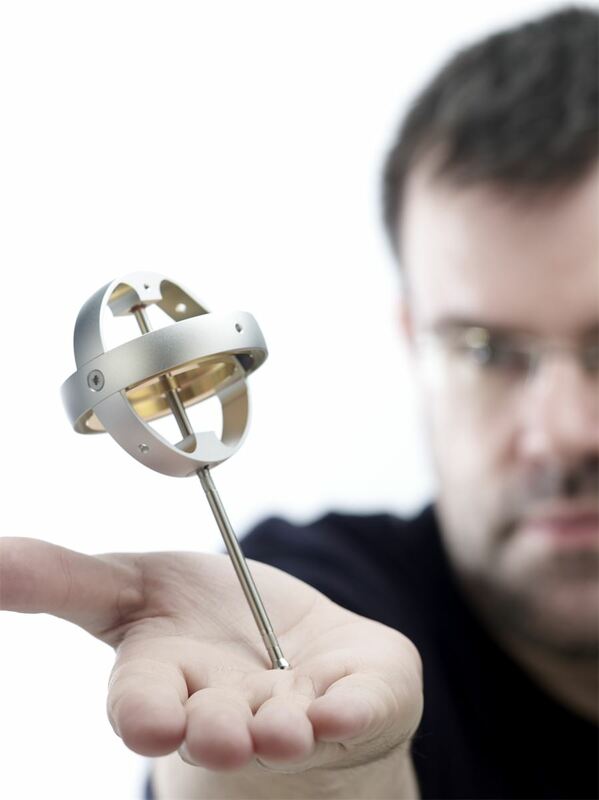 There are 7 places on the gyroscope that the attachments can be screwed into. 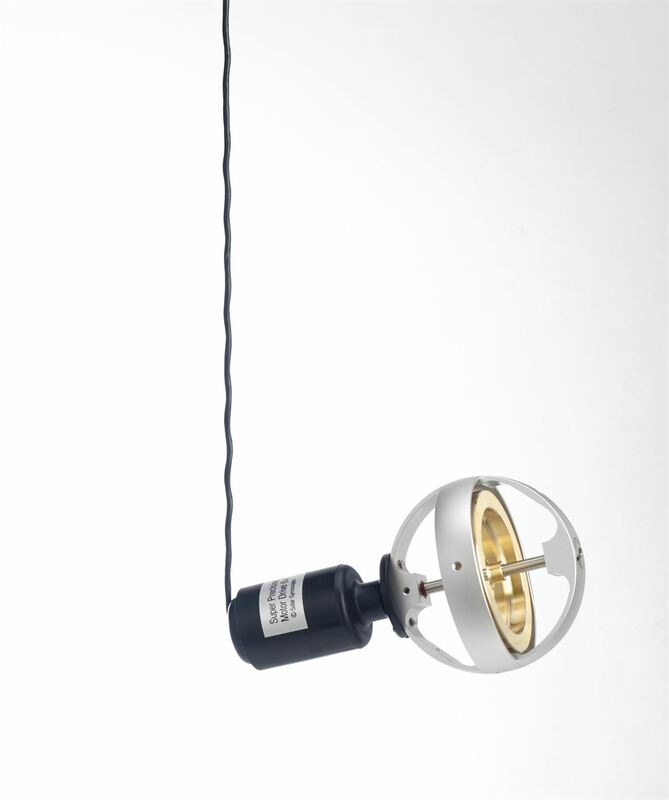 The modular design allows for numerous tricks and experiments including demonstrating gyroscopic precession and nutation. The optional gimbals kit add-on dramatically expands the range of experiments turning into an ideal educational tool. Due to popular requests we also created a rate kit add-on which allows pilots to understand how a rate gyroscope works. The included electric motor spins the gyroscope effortless up to an impressive 12,000 revolutions per minute. 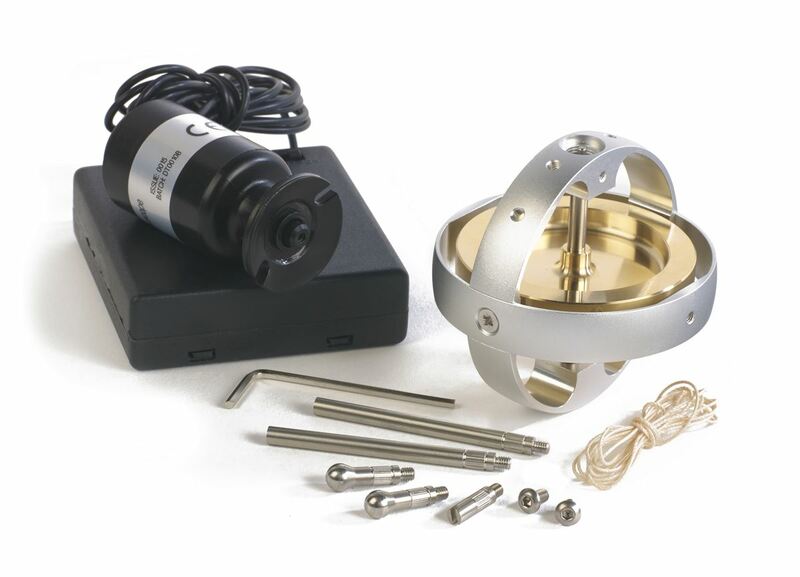 The motor can be fastened to the gyroscope with two screws providing hours of continuous use or it can be used to briefly start it and quickly detach, allowing you to perform experiments for as long as 25 minutes. The electric motor makes it easy and quick to start gyroscope, with speeds you would struggle to achieve with string pull start. The motor has its own battery pack that requires 4 AA batteries. Batteries are not included. If a spinning object is unbalanced it will vibrate. 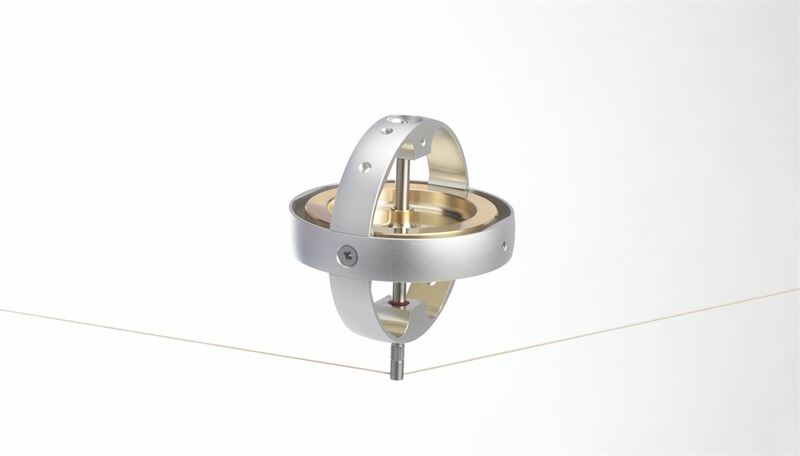 A gyroscope needs to be balanced, just like a wheel on a car is balanced to ensure a smooth ride. The super gyroscope disk is made from brass and machined to microns precision, ensuring the disk is incredibly symmetrical and well balanced. Despite the brass looking perfect on the surface, it is an alloy, made up of a number of other metals and these metals are not always evenly dispersed resulting in a very slight non-uniform weight distribution. To correct this, the disk is then computer balanced to an impressive 250th of a gram accuracy! 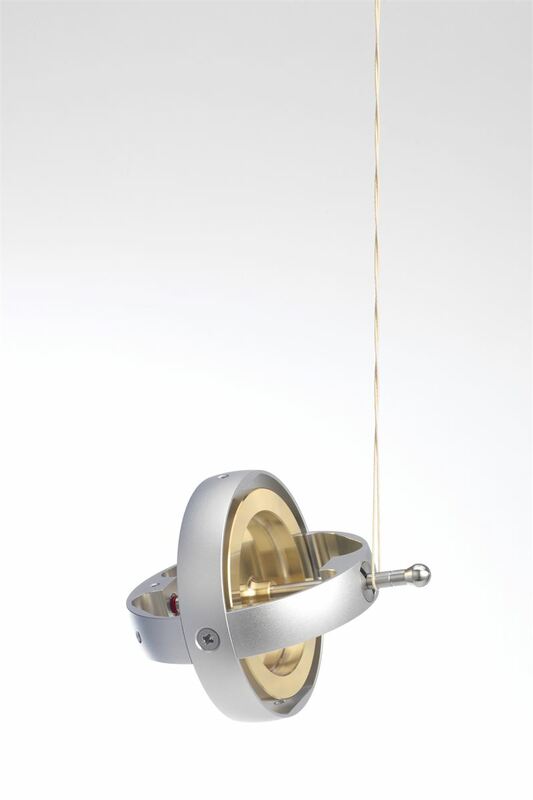 Thus giving the gyroscope a highly balanced, super smooth feel, longer spin and even quieter operation. 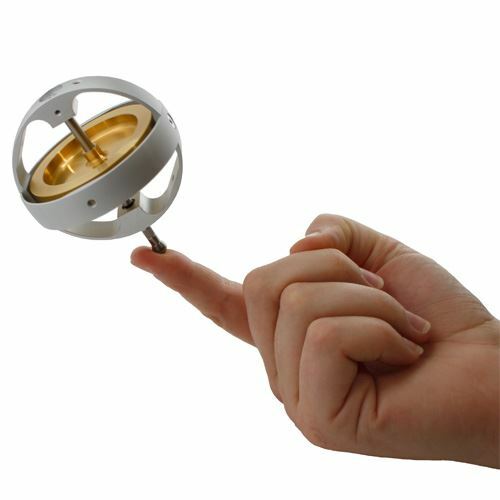 Carefully chosen miniature ultra-low friction stainless-steel ball bearings allow it to run smoothly and almost silently for up to 25 minutes, allowing you to perform the experiments and tricks you want to do without having to reattach the electric motor. Please note: Some experiments and tricks remove quite a bit of energy from the gyroscope. This will reduce spin times. Latest version has had the 'Spin time' (without motor) increased to 25 minutes from 7 minutes. on air mail. Also known to delay/confuse customs clearance.